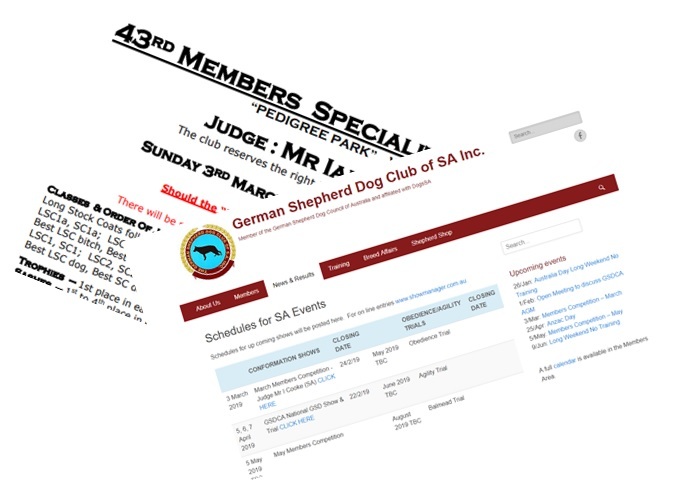 The German Shepherd Club of South Australia Inc (GSDCSA) was established in 1945 as a non-profit breed club promoting the German Shepherd Dog breed and responsible dog ownership. The GSDCSA is a single-breed club that caters for obedience, agility and conformation. Training is an integral part of the club and is included in the cost of membership. Whether you want to train your GSD in basic obedience, have your GSD compete in trials or show your GSD, our friendly and dedicated instructors can teach you the appropriate handling techniques and how to train your dog using positive reinforcement. Our club has a Recommended Breeding Practices Policy that ensures all breeders within the club adhere to strict breeding guidelines governing the quality and welfare of breeding stock and participate in Breed Improvement Schemes set out by the German Shepherd Dog Council of Australia. Owners who choose dogs from GSDCSA-approved breeders can have peace of mind that their GSD has been bred to and will epitomise the breed standard. More information about the breed schemes can be found in the Breed Affairs section. The GSDCSA is affiliated with the SA Canine Association (Dogs SA) and is a member of the German Shepherd Dog Council of Australia (GSDCA). 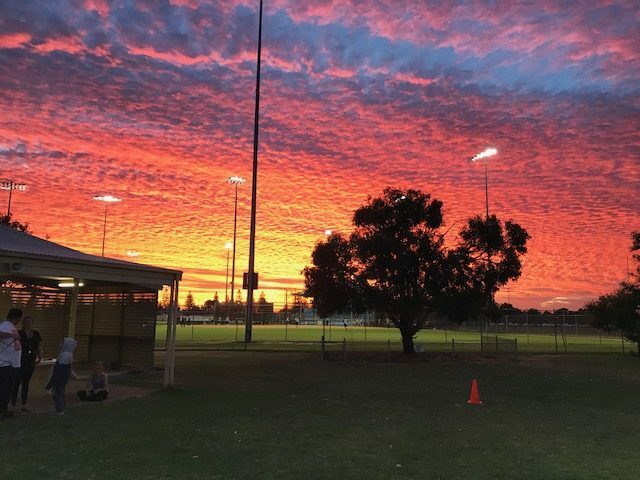 Training will be cancelled if the forecast temperature for West Beach is predicted to be 37 degrees or above or an Extreme Storm warning is issued on www.eldersweather.com.au at 6pm the night before training (Wednesday nights and Sunday mornings).